As with every Wes Anderson film release, audiophiles around the world gear up in great anticipation to find out which forgotten left-field musical treasure will be shot into the current zeitgeist. 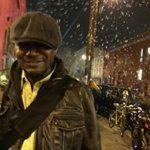 No matter where you check in on the “Children and Animals Acting Like Adults” or “Bad Dads” operatives that run amok throughout his career. Without the unorthodox beauty of “These Days” by a lamenting Nico in The Royal Tenenbaums, or the anthemic “getting the team back together” enthusiasm of Devo’s “Gut Feeling” from Life Aquatic With Steve Zissou…Cinematic guideposts would be lost. The magic of ”I Won’t Hurt You,” a B-side on the début 1966 single by Los Angeles-based psychedelic group The West Coast Pop Art Experimental Band, becomes the melancholic construct this time around. The gangly declaration of protection, with a heartbeat rhythm, is the sonic emotional center of Isle of Dogs. Presenting a fleeting shard of vulnerability, between humor and fear, where a therapeutic tear could leak out. The film, which marks Anderson’s return to stop-motion animation, delivers a very autocratic conformist-like soundtrack that runs on the insistent pounding of the Japanese taiko drum. Academy Award-winning Parisian composer Alexandre Desplat, who scores “Dogs,” wrote percussive charts that act in great concert along the swirling of woodwinds, and blunt use of bells as timely accents. It could be assumed these particular combinations illuminate the relationship nature has with human nature in the film. Desplat summoned the American composer/musician Kaoru Watanabe to give authentic taiko percussion on the soundtrack. 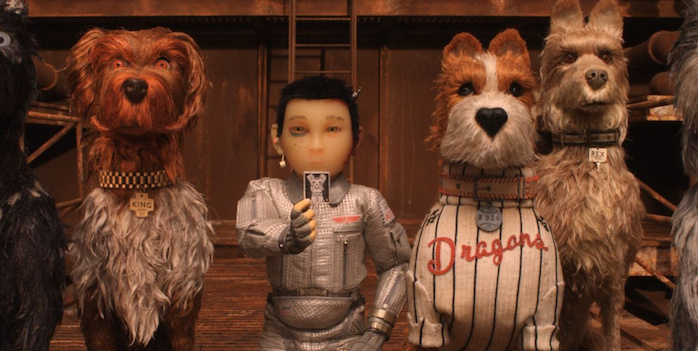 Isle of Dogs tells the story of Atari Kobayashi, 12-year-old ward of corrupt Mayor Kobayashi. When, by Executive Decree, all the canine pets of Megasaki City are exiled to a vast garbage-dump, Atari sets off alone in a miniature Junior-Turbo Prop and flies to Trash Island in search of his bodyguard-dog, Spots. There, with the assistance of a pack of newly found mongrel friends, he begins an epic journey that will decide the fate and future of the entire Prefecture. The soundtrack also includes a composition from Seven Samurai, performed by the Toho Symphony Orchestra, as a cinematic nod to Akira Kurosawa’s work. “Kosame No Oka,” that is a central musical thematic from the filmmaker’s 1948 crime noir Drunken Angel. Isle of Dogs is playing at select theaters in San Francisco. 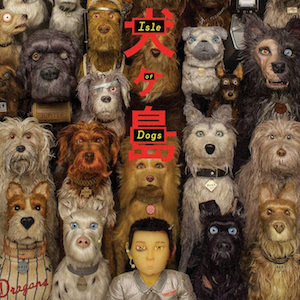 Isle of Dogs Soundtrack will be available digitally March 23 on ABKCO Records.